LOUISVILLE, Ky. — Freightliner announced at the Mid-America Trucking Show, availability of the new Bose Ride System II truck seat suspension. 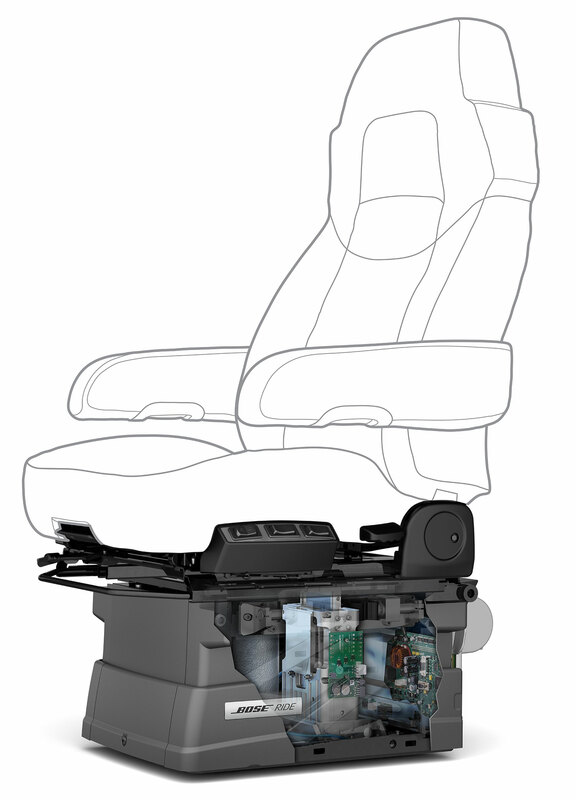 The seat uses sensors and a regenerative electromagnetic motor to eliminate inputs from the road, reducing the impact road vibrations have on drivers’ health. 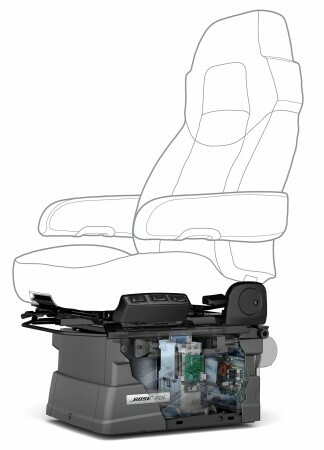 The newest version of the seat, introduced earlier this spring, has multiple settings and comes with a driver training module. The seat itself has also been redesigned for improved ergonomics. Freightliner is also offering the Bendix SmarTire tire pressure monitoring system. It shows tire pressures and temperatures in real time and lets the driver know when a tire needs attention. And a new flatscreen TV mount with antenna is also on offer in the Cascadia and Cascadia Evolution. It can handle a TV up to 26 inches in size. “The Cascadia and Cascadia Evolution were built with the driver experience in mind – whether they’re on the job or on a break. We want to keep them safe on the road, and improve their time away from home,” said Mary Aufdemberg, director of product marketing for Freightliner Trucks.